Soil-borne seed pathogens may play an important role in either hindering or facilitating the spread of invasive exotic plants. 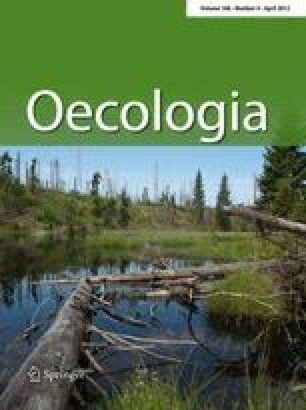 We examined whether the invasive shrub Lonicera maackii (Caprifoliaceae) affected fungi-mediated mortality of conspecific and native shrub seeds in a deciduous forest in eastern Missouri. Using a combination of L. maackii removal and fungicide treatments, we found no effect of L. maackii invasion on seed viability of the native Symphoricarpos orbiculatus (Caprifoliaceae) or Cornus drummondii (Cornaceae). In contrast, fungi were significant agents of L. maackii seed mortality in invaded habitats. Losses of L. maackii to soil fungi were also significant in invaded habitats where L. maackii had been removed, although the magnitude of the effect of fungi was lower, suggesting that changes in soil chemistry or microhabitat caused by L. maackii were responsible for affecting fungal seed pathogens. Our work suggests that apparent competition via soil pathogens is not an important factor contributing to impacts of L. maackii on native shrubs. Rather, we found that fungal seed pathogens have density-dependent effects on L. maackii seed survival. Therefore, while fungal pathogens may provide little biotic resistance to early invasion by L. maackii, our study illustrates that more work is needed to understand how changes in fungal pathogens during the course of an invasion contribute to the potential for restoration of invaded systems. More generally, our study suggests that increased rates of fungal pathogen attack may be realized by invasive plants, such as L. maackii, that change the chemical or physical environment of the habitats they invade. We thank J. Vogel for supporting our ecological research at the Busch Wildlife Conservation Area. We thank M. Craig, E. Damschen, C. Hickman, J. Hoisington-Lopez, and K. Wang for their laboratory and field assistance. We would also like to thank C. Collins, B. Mattingly, and J. Watling for helpful reviews of this manuscript. Portions of this work were funded by a dissertation improvement grant to H.P.D. (NSF 0710341) and grants from the Webster Groves Nature Study Society and the Whitney R. Harris World Ecology Center to H.P.D. These experiments comply with the current laws of the country where the research was conducted.